When you buy a health insurance policy, it takes some time to get activated. During this period, insurers do not entertain any health insurance claim filed by policyholders. Generally, this feature is most common in senior citizen health insurance policies. When you buy a health insurance policy, it takes some time to get activated. The insurance comes into effect after a ‘waiting period’ based on the type of insurance and other factors, such as medical history, age, etc. Your health insurance coverage begins after a specific amount of time. During this period, insurers do not entertain any health insurance claim filed by policyholders. Generally, this feature is most common in senior citizen health insurance policies. If a policyholder undergoes any surgery during the waiting period, the insured may not be covered for a loss. If a policyholder is diagnosed with a disease for the first time during the waiting period, then the policy will cover it. 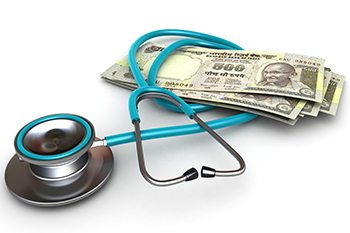 Some insurers have also launched senior citizen health insurance with a co-payment clause that implies insured to bear a specific percentage of the claim amount. Some insurance companies have an option to decrease the waiting period at the cost of extra premium. In fact, group health insurance policies offered to employees by employers do not insist on waiting periods. The majority of insurance companies have an initial waiting period of around 30 days to 90 days. It means any disease contracted within this period will not be claimed, except accident cases. It is a period of time that involves those who have a condition during the six months prior to signing up for mediclaim policy. During this waiting period, insurance coverage can be excluded or limited for any pre-existing condition. The length of this period can differ from two to four years. After completion of the mentioned time frame, the pre-existing conditions will be covered under the policy. Only certain health insurance plans offer maternity benefits with a waiting period of around 9 months to 48 months. Hence, buying a mediclaim policy needs to be planned before planning a family.